Most of the following documents are in PDF format and require Adobe Reader to open. If you are unable to open one of the following files, please download or upgrade Adobe Reader. 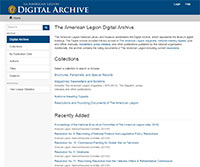 Use the Digital Archive to search and view brochures, pamphlets and special reports from 1992-2012.